Spring is here, and the tourism season has started. Tuscany does not really have much of a down time when it comes to visitors, but the winter months are generally a bit calmer. When Easter arrives, the tourists from Italy, as well as abroad, start populating Tuscany and its attractions. Tourism is important for Tuscany and Italy. Toscana Promozione Turismo stated last autumn that the returns from tourism increased 4.1% in Tuscany during the summer of 2017. In this context, wine tours are becoming more and more an essential part of tourism activities. Many wineries are focusing on offering daily tours of their estates to attract the international tourists. So, if you are going to spend a vacation in Tuscany this year and would like to visit a winery or two, what can you expect? What can you discover and do at a boutique winery in Tuscany? Obviously, you think…well, duh…I want to drink wine when I visit a winery! However, you might be interested in more than that. Perhaps you are interested in visiting an organic winery to learn more about green manure, composting, and the importance of biodiversity. More and more hectares in Italy are now farmed as organic land. According to I numeri del vino, about 11% of the total area of vineyards is organically farmed and circa 6% is in conversion to become organic. There are three Italian regions that top the list with the most acreage of organically farmed vineyard lots; namely Sicily, Puglia, and Tuscany. 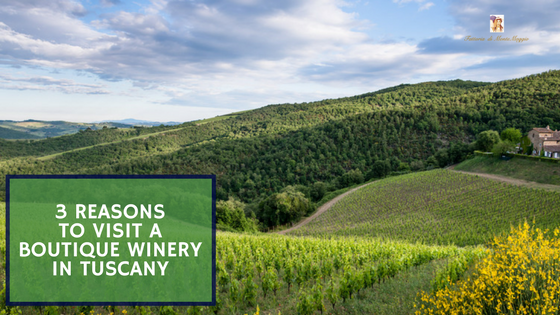 With this in mind, let us now look closer at three reasons to choose to visit an organic boutique winery on your wine tour in Tuscany. At most wineries, you can get a tour of a part of the vineyards. At a smaller boutique winery, there is a higher probability that you will get a tour of the vineyards and the grounds by the winemaker him-/herself. It can be a wonderful way to get a glimpse into the history of the winery while simultaneously getting an overview of the daily work at the farm. Imagine yourself walking around in the vineyard among the luxuriant vines on a warm June day. You can get a feeling for the rich vegetation and fauna while the winemaker explains about organic farming, biodiversity, or the sexual-confusion method to keep certain species of moths away from the vines. While listening to the winemaker, you can observe insects buzzing about contributing to the biodiversity in gardens and vineyards. What better way than this to really get a feel for the farm life at a winery? After an informative walk through the vineyards, you will probably start to feel a bit hungry, right? At many wineries, you can take a cooking class to learn more about the local cuisine. 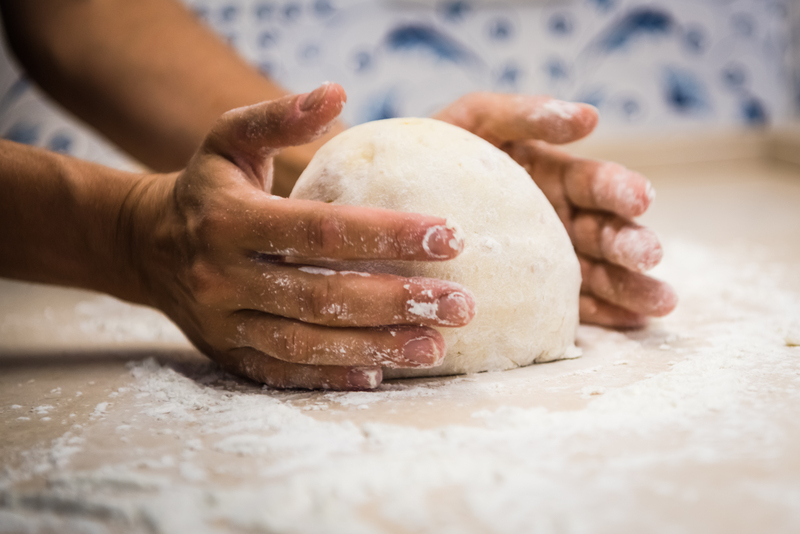 This is a fun way to learn hands-on how to make the local Tuscan dishes that we all love from a local countryside cook. Make your own pasta or why not your own pappa al pomodoro that you then can eat for lunch in good company with a glass of wine. The icing on the cake is, of course, the wine tasting where you will be able to experience the different labels produced by the winery. Generally, at a smaller winery, they would like you to taste all their wines, but you can also choose a selection of labels if you are short on time. The wonderful thing is that you will get a wine tasting in conjunction with a full immersion into the history and tradition behind each wine. The storytelling lies at the center here, with the winemaker sharing his/her backstory as to how a wine came about. You get a personal story and touch to your wine tasting. We hope this article can be of help when you are planning your next vacation and wine tour in Tuscany.